MONTREAL, Jan. 31, 2019 /CNW Telbec/ - Air Canada is reducing single-use plastics onboard aircraft and in its workplaces as part of the company's ongoing commitment to curtail waste. Starting in Summer 2019, Air Canada will replace plastic with wood stir sticks in drinks served on all flights, a move that will save 35 million plastic stir sticks annually – enough if laid end-to-end to join Halifax and Vancouver. "Air Canada has made sustainability central to its decision-making and business processes, including acting responsibly with respect to the environment. Through seemingly small measures such as eliminating plastic stir sticks, to major investments such as our $10 billion fleet modernization, we are making great strides in our ongoing sustainability programs, notably improving fuel efficiency by 43 per cent since 1990," said Teresa Ehman, Director of Environmental Affairs at Air Canada. "Air Transport World Magazine recognized the effectiveness of our environmental programs when it named Air Canada the 2018 Eco-Airline of the Year, citing our participation in the development and support of alternative fuels in Canada, and our innovative sustainability programs." Air Canada's stir stick replacement will be made of bamboo and certified by the Forest Stewardship Council, which assures products come from responsible sources so that forests remain thriving environments for generations to come. Air Canada's ongoing plastic reduction efforts also include researching and rethinking important decisions made at various stages of the supply chain. The company is supporting this work in partnership with University of Toronto graduate students in their final year of their Master of Science in Sustainability Management program. The students are working with Air Canada to identify alternatives to plastic use onboard our aircraft. Looking out to 2020, Air Canada has set environmental targets to reduce waste sent to landfills from offices, facilities and Maple Leaf Lounges by 20 per cent, or just under the equivalent weight of two empty Boeing 787-9 Dreamliners, and to recycle 50 per cent of approved items onboard. Waste reduction at Air Canada is about more than recycling paper and aluminum cans. For example, since 2016 Air Canada has partnered with Partners in Project Green to distribute lightly used duvets to social service agencies that assist people in need and other duvets are donated to local kennels. To date over 13,000 duvets have been donated, equivalent to over 20,000 kilograms of material. Employee uniform pieces were donated to Brands for Canada who removed all branding and offered the items to people re-entering the workforce, without the means to purchase new clothes, and hoping to begin new careers. Uniforms shredded and repurposed into stuffing for punching bags that were donated to community centres, converted into alternative items such as automotive stuffing or incinerated to generate energy. 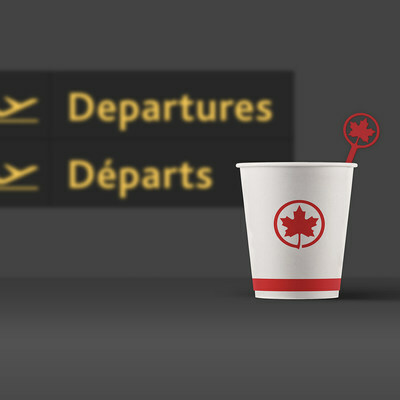 Air Canada is Canada's largest domestic and international airline serving more than 210 airports on six continents. Canada's flag carrier is among the 20 largest airlines in the world and in 2018 served more than 52 million customers. Air Canada provides scheduled passenger service directly to 63 airports in Canada, 56 in the United States and 98 in Europe, the Middle East, Africa, Asia, Australia, the Caribbean, Mexico, Central America and South America. Air Canada is a founding member of Star Alliance, the world's most comprehensive air transportation network serving 1,317 airports in 193 countries. Air Canada is the only international network carrier in North America to receive a Four-Star ranking according to independent U.K. research firm Skytrax, which also named Air Canada the 2018 Best Airline in North America. For more information, please visit: aircanada.com/media, follow @AirCanada on Twitter and join Air Canada on Facebook.